Hey! This is my first article published LIVE from Mobile World Congress in Barcelona. 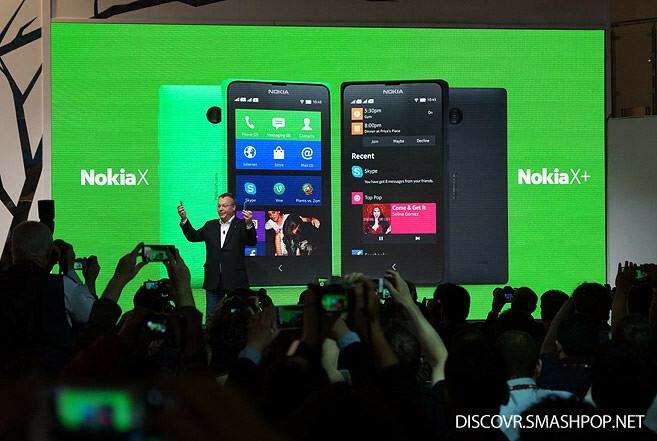 Nokia today announced the X series of devices and one of the it the Nokia X. It is the entry level member of the family, with 4-inch IPS LCD screen, 512MB RAM and a 3-megapixel camera. 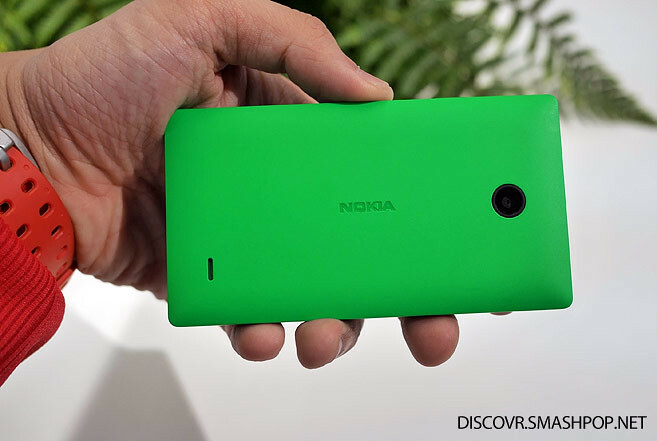 Although the Nokia X is running Android, Nokia has totally reskinned it to look very much like the Lumia devices. With tiles and icons that looks like those on the Windows Phone, there’s no denying that Nokia is trying to connect these devices to the smart phone siblings under the umbrella. 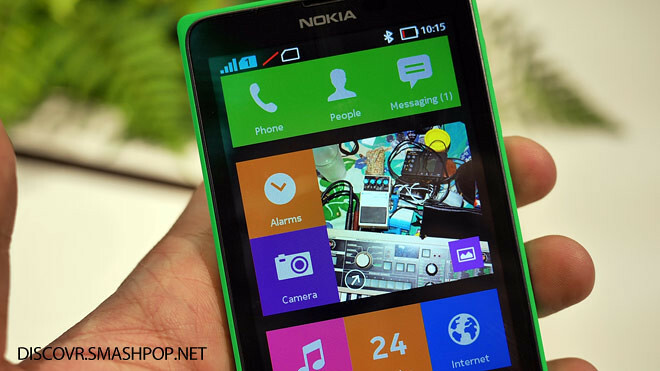 Tiles can be resized and rearranged, pretty much like the Lumia as well.. but with less smooth animation. Now it comes with Nokia Store to download apps but it has other options as well like Yandex Store which is quite popular, they claimed. FYI, users can side load .apk files into the phone using the built in file explorer. That’s a nicer way of saying “yes, you can install Android apps on it”. The outlook and design of the devices looks very similar to the Asha series. It’s made out of 1-piece polycarbonate and comes in green, black, white, yellow, cyan and red. The 3-mpx camera may not sound impressive but hey, at only 89 Euros, we seriously cant complain. 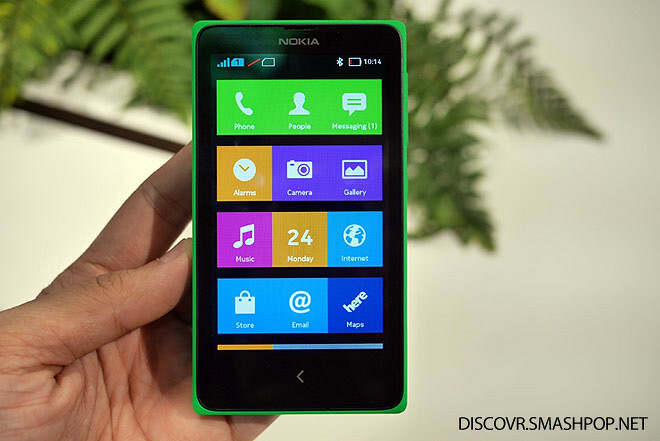 The Nokia X will be available to buy immediately in Asia Pacific, Europe, india, Latin America, the Middle-East and Africa. Check out the hands-on video below! 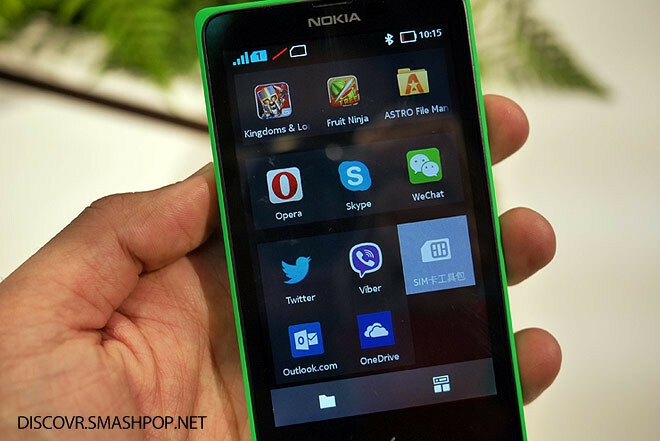 Get one month of free Skype calls to mobiles and landlines when you purchase the Nokia X smartphone. 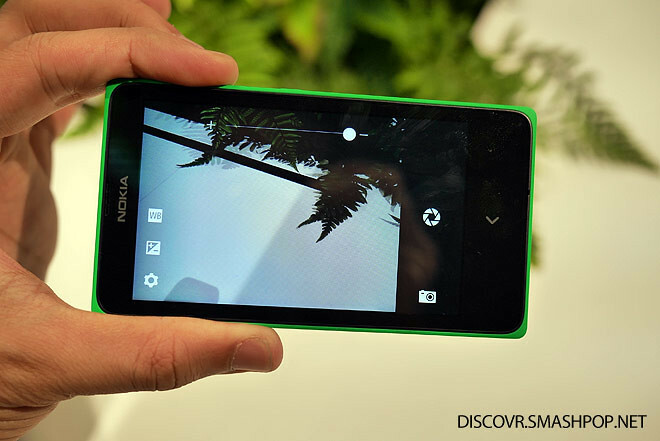 One Response to "Hands-On With Nokia X Running Android OS In Barcelona [Video]"